Being the only child Erroll loved regular visits to an uncle’s farm, and swimming in which he had the privilege of early expert coaching. As a boy in Pretoria apart from much swimming he spent time wandering on his own on the hills north of Pretoria. In the classroom he was dreamy and inattentive. Aged eleven he came 31st in the class of 33. His parents regarded that as a family crisis and promptly sent him to boarding school for the next five years. This was the Roman Catholic Marist brothers in Johannesburg. Erroll thrived under the extremely disciplined ethos. Every hour of every day was regimented. His parents were amazed when he broke the record for backstroke in the annual swimming gala, won the victor ludorum in athletics and captained the first team in cricket with the highest score in Transvaal schools for that year. In his final year he won the Marist Brothers award for study sport and leadership which was rarely given. After matriculation Erroll began a six year course in architecture at the Afrikaans speaking Pretoria University. He graduated in 1954. His enjoyment of athletics continued at University. He won third place nationally in the under 19 quarter mile and won third place in the half mile South African inter-varsity competition. 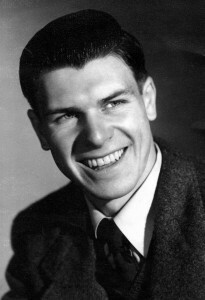 It was during his university years that a fellow student David Cowan invited him to an evangelistic campaign being led by Ivor Powell of Wales. Erroll was converted the first time he heard the gospel clearly preached. 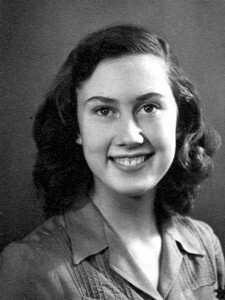 During his university years Erroll began courting Lyn Hendry. About the same time as Erroll’s conversion Lyn was independently and suddenly converted on her own during a thunder-storm in which she was terrified at the thought of our Lord’s return. Erroll and Lyn were baptised together at Pretoria Central Baptist Church by the then pastor Wilfrid Edmunds. After graduation Erroll and Lyn were married. Shortly thereafter they set off to London to study extra-murally at the London Bible College where E. F. Kevan was principal and tutor in systematic theology. Erroll worked as an architect while Lyn worked as a secretary. While studying at London Bible College from 1954 to 1960 they attended Westminster Chapel and received tremendous benefit from the ministry of Dr Martyn Lloyd-Jones. They lived at the Foreign Missions Club where they met a lifelong friend Iain Murray who in 1957 invited Erroll to become the business manager of a new publishing house called the Banner of Truth. (The remarkable story of the Banner of Truth is described in the newly published book ‘Catch the Vision’ by J. J. Murray). A new chapter began in Erroll’s life when he was asked to preach at a tiny run down church down Polestub lane in a village in West Sussex called Cuckfield. Win Perry was the only one remaining elderly lady member. Through her appeal to Brighton Tabernacle help was afforded to avoid closing down the chapel which has a long history going back to 1772. Stanley and Marian Hogwood led a team of helpers and eventually decided to live in Haywards Heath near Cuckfield in order to devote themselves to restoring Cuckfield Baptist Chapel. After about a year a regular congregation of twelve was gathered together with two dogs. Erroll began as part-time pastor in 1962 as well as travelling by train from Haywards Heath four days a week to the Banner of Truth offices in the West End of London. In 1964 the church experienced what might be called a mini-revival or visitation of the Holy Spirit. Such was the increase that by 1967 Erroll opted to leave the publishing scene and concentrate full-time on the pastorate. Stanley Hogwood was a remarkable supporter who encouraged Erroll to engage in overseas ministry as well as the work of establishing the Carey Conference for ministers in 1970. Along with John Rubens Erroll initiated the annual Carey Family conference in 1971. Together with Jim van Zyl Erroll organised the evangelical and reformed conference in South Africa which has grown in size and meets for a week every year at Skogheim near Port Shepstone in Kwazulu. Stanley Hogwood was son-in-law of the well-known pastor Benjamin Warburton in Brighton. On Warburton’s decease Stanley inherited the editorship of the denominational monthly magazine The Christians’ Pathway. In 1970 the editorship passed to Erroll who turned The Christians’ Pathway magazine into Reformation Today. Looking back Erroll remembers with much gratitude the total commitment of Stanley and Marian Hogwood to the church in Cuckfield. Erroll has had pastoral experience in four churches, Cuckfield 1962-1984, Liverpool 1984 to 1988 and as elder and associate pastor at Leeds Reformed Baptist Church 1988 to 2008, as well as a ‘locum’ for Eastside Baptist church, Windhoek, Namibia, in 1995. Since the decease of Dr Martyn Lloyd-Jones in 1981 Erroll has served on the Westminster Conference Committee this being an annual two-day conference in London and also since 1974 he has served as a director of Evangelical Press. Erroll’s international ministry has included preaching at conferences and in churches in Asia (Philippines, Malaysia, Indonesia, Singapore and Myanmar), Europe (Romania, Latvia, Spain, Italy, Germany, the Netherlands, Cyprus, Malta), and North and South America and Africa He has fulfilled 45 preaching tours in the USA and 35 in southern Africa. Highlights in the USA were preaching at the pastors’ conference for John Piper and at the Southern Baptist Founders’ Conference. Erroll participated in most of the bi-annual International Baptist Conferences at Jarvis Street Baptist Church in Toronto from 1982 to 2000. 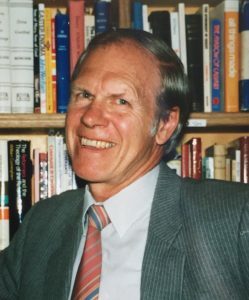 At the International Baptist Conference, 1990, Erroll initiated the International Fellowship of Reformed Baptists (IFRB). Ernest Reisinger acted as chairman. The purpose was to encourage Reformed Baptist unity and networking round the world and church planting. A bi-monthly IFRB newsletter was produced along with Dr Frederick Hodgson, manager of Reformation Today. In 2001 Erroll Hulse was one of two visiting preachers at the second FIEL conference in Nampula, Mozambique. This event inspired Erroll to consider the desperate need for a similar kind of ministry in other countries in Southern Africa. Subsequently, Africa Pastors Conferences (APC) has been established, and led by Conrad Mbewe, Irving Steggles, Erroll Hulse and Thomas Winn. On September 21 2013, Erroll’s wife Lynette was taken home after a number of years of severe illness. In November 2013, while ministering in South Africa at one of the Africa Pastors Conferences, Erroll suffered a severe stroke. This left him permanently paralysed on the left side. Erroll returned to the UK in January 2014, and was cared for, first in a residential home in Leeds, and more recently in Wetherby. For three and a half years, as an active preaching and writing ministry was no longer possible, Erroll shifted focus to continued intercession for the Kingdom world-wide. Erroll was taken home to be with the Lord on 3 August 2017. His funeral was held in Cuckfield, Sussex, on 21 August 2017. A video of the service can be accessed via this website by clicking here. A tribute written by his daughter Sharon can be found on this website by clicking here. A number of Erroll’s sermons are available at SermonAudio. Click here to access them.